Information from the book (see photo above) Ever True by Lisa Saunders who was his great-great granddaughter. Private Charles McDowell enlisted in the New York Ninth Artillery in August 1862 and was mustered out in late July 1865. 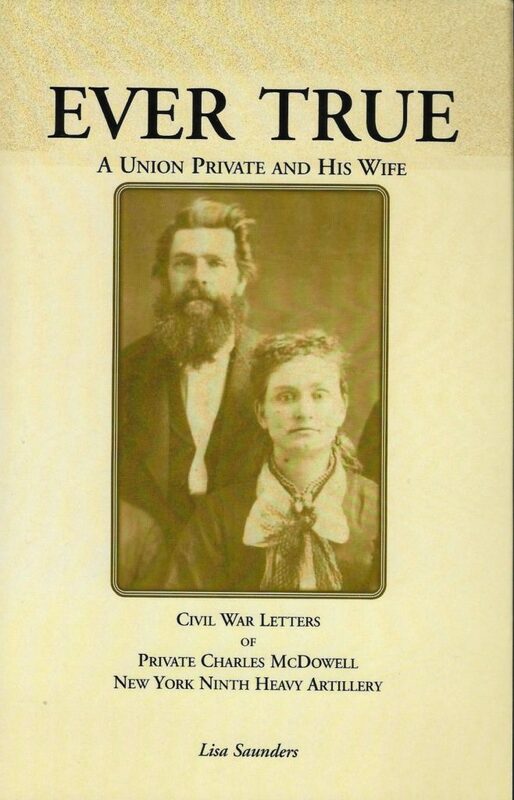 During that three years of the Civil War, the newly married couple exchanged letters which survive to this day and were documented in this book. These letters are poignant and tender, “homey” in their diction, and so direct. Future generations will be in debt to this correspondence that tells about an ordinary soldier living through extraordinary times.